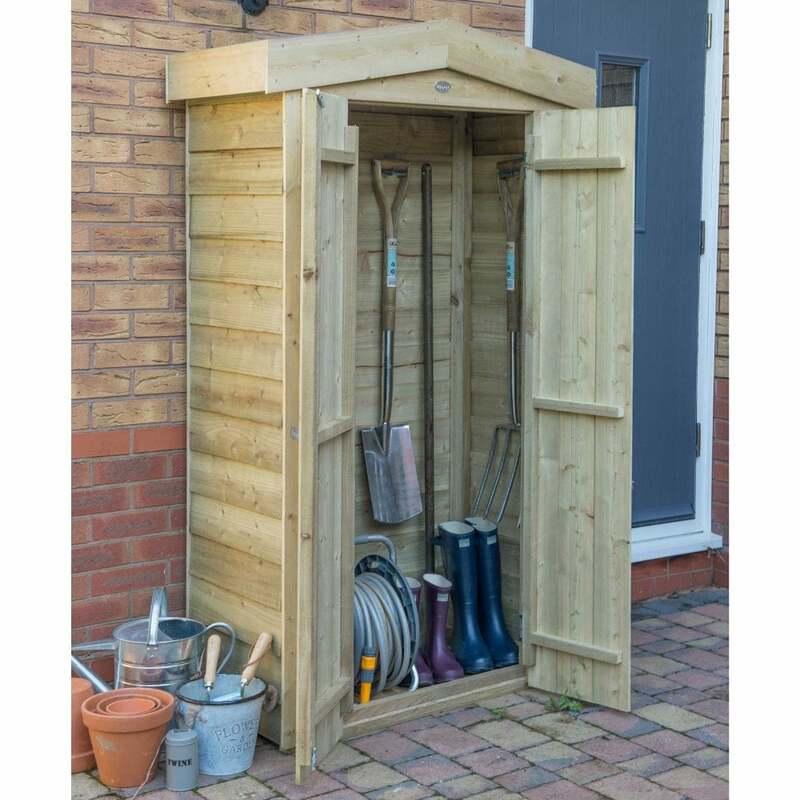 Forest Garden Pressure Treated Overlap Apex Tall Garden Store: The Forest Garden tall garden store is a practical building, perfect for storing away your garden items for smaller gardens with a 750 litre capacity. The apex garden storage unit includes a felt roof to keep the store weathertight, the wall and door panels are pressure treated to protect against rot and the 8mm OSB floor is mounted on pressure treated bearers to keep it off the ground and dry. The Forest Garden outdoor store is manufactured in the UK from FSC certified timber and features shiplap timber front panels. The overlap tall garden store comes with a 15 year manufacturer’s warranty against rot and is delivered flat packed for easy self-assembly.